Inquiring minds want to know…did we get our Zamz? That’s what the students in St. John’s kindergarten and first grade class wonder after every recess and activity break! Our Zamzee is a very important part of our daily routine, but how did that come about? I am, yes, the kindergarten and first grade teacher at St. John Nepomucene School in Weston, Nebraska. I am also one of the program advisers for the Fuel Up to Play 60 program at our school. 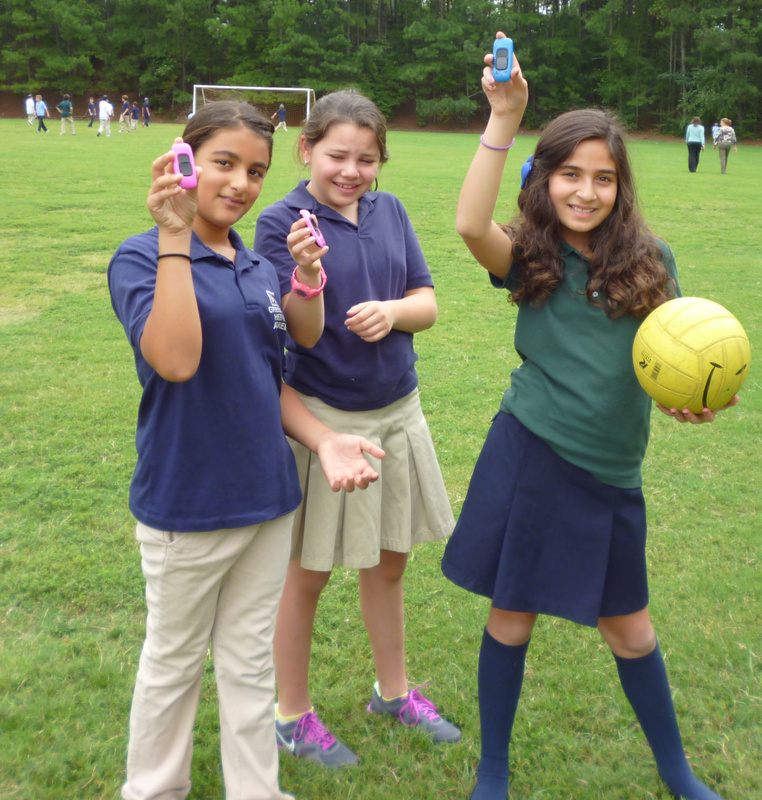 I learned about Zamzee at the Fuel Up to Play 60 national summit last July. 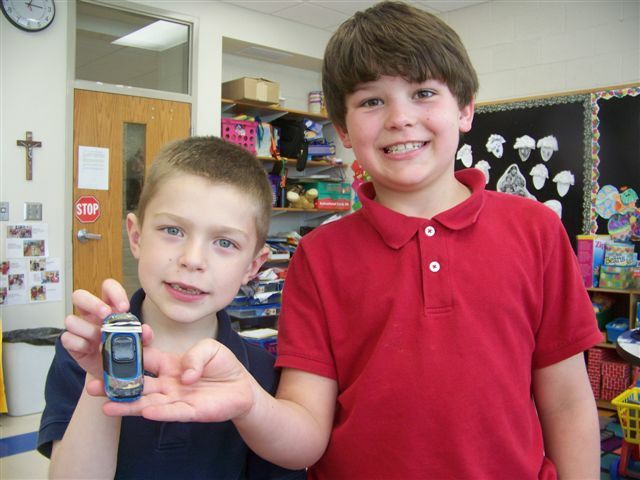 Each of the students and advisers attending received one as a gift. The students were convinced immediately as to how valuable and exciting a Zamzee could be. They found a computer, checked out the site, and were moving and racking up points quickly! “We can get prizes by just moving,” they said. I didn’t know how that could be true. I must say, I didn’t grasp the potential of this meter until I got it home and began using it myself. Then, I was hooked! I started thinking about how I could use Zamzee with my students, and decided to include Zamzee as one of the jobs posted on our job chart. I called it being the “Zamzee Leader.” You know…we have a line leader, calendar helper, clean up crew helpers…and a Zamzee leader. 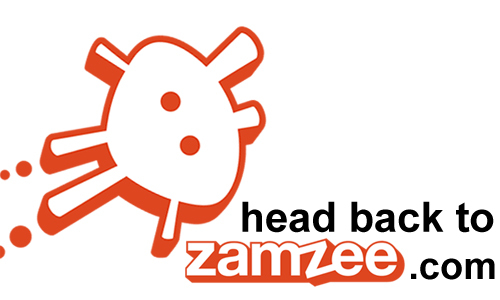 The Zamzee leader is responsible for helping to choose a Challenge, taking the meter out for recesses, and doing his best to make sure the meter keeps moving. The leader can pass the meter off to a friend if he wants, but needs to bring it back to plug in after recess. 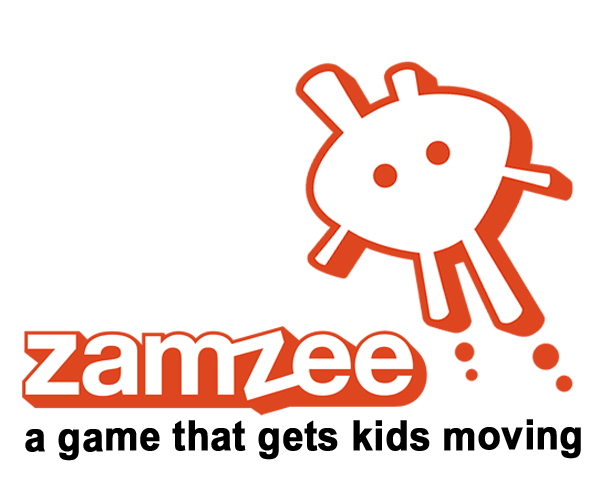 Our Zamzee has been part of football games, tag around the jungle gym, swinging with friends, and leaf pile jumping! It’s even been lost beneath a leaf pile over night! The students love being the Zamzee Leader! When I asked them why, the replies were numerous! The idea for A Million Minutes of Activity began brewing in my head last year. At the 2011 ISTE (International Society for Technology in Education) conference, Dr. John Medina gave the keynote address called “Brain Rules for Education.” One of the things that he said – which stuck with me – was that exercise improves executive function in students, and can help students increase test scores. It needs to be cardiovascular exercise – and the effects can last into adulthood. In fact, this is Dr. John Medina’s “Brain Rule #1.” He lamented the fact that schools cut down on P.E. even though the benefits of exercise is proven.